Since the end of the Cold War, and especially since the beginning of the new century, the Arctic has become one of the concerns of international politics and global governance. At present, with the Arctic region facing some new trends, Arctic governance and cooperation have been struggling to move forward. After the Cold War, the Arctic became a pilot area for global governance and international cooperation. However, in recent years, due to changes in international relations - and especially due to the deteriorating relationship between Russia and Western countries like the US - the Arctic has once again become a focus of attention in geopolitical confrontation. After the Ukrainian crisis in 2014, Russia's relations with the West fell to their lowest point since the Cold War. Russia has the longest Arctic Ocean coastline of any country, and the Arctic has become a key point in Russia's marine strategy. Meanwhile, the US and its European allies have also greatly strengthened their military deployment in the Arctic. Last year, NATO held its biggest military exercise since the Cold War in Norwegian waters near the Arctic, adding to tensions between the US and Russia in the region. In addition to geopolitical conflicts in the Arctic, Arctic cooperation and governance have also faced a number of bottlenecks. It is true that under the joint efforts of Arctic countries over the years, there have been many achievements in governance and cooperation, but this seems to show signs of slowing down. First, the Arctic still lacks an effective, authoritative and representative international governance mechanism. At present, the Arctic Council is the most representative mechanism, but it is only a forum organization and lacks legal status under international law. Since the Arctic Council cannot be endowed with a leadership role, it is difficult for other specialized mechanisms to coordinate among each other. For instance, the Arctic Economic Council, the Arctic Coast Guard Forum, and other organizations related to economic and social development, as well as polar security, search and rescue, are all operating independently. Second, Arctic countries are relatively conservative and inward-focused in terms of Arctic governance and cooperation, making it hard for countries outside the Arctic to express their concerns and to attract attention. The initial drivers behind Arctic governance and cooperation have been climate change, energy demand and shipping prospects, as well as promoting globalization and global governance - all of which have faced changes recently. Due to the irresponsible decision by some countries to abandon the climate deal, global efforts to deal with climate change have been met with twists and turns. The turmoil in the world energy market and declining energy prices have reduced the urgency of developing Arctic energy. The world shipping industry also posted a bearish performance amid the global economic downturn. In addition, globalization and global governance have faced headwinds due to populism and extreme conservatism in some countries. All these have resulted in bottlenecks in the current Arctic governance and cooperation process. In 2013, China proposed the Belt and Road Initiative (BRI). Against the international background of that time, some Chinese experts already believed that future cooperation and development of the Arctic could be combined with the BRI. After a long period of discussion, in 2017, Chinese and Russian leaders jointly proposed the "Ice Silk Road (ISR)," with an aim to promote cooperation and development in the Arctic. The ISR framework has been welcomed by some Arctic countries. 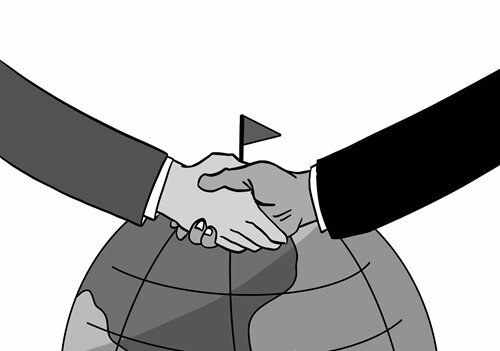 During several meetings with Chinese leaders, Russian leaders emphasized that the two countries should push forward and strengthen ISR construction and cooperation. Finnish President Sauli Niinisto, during his visit to China in January, also expressed his willingness to discuss cooperation opportunities with China in Arctic waterway development and other projects to jointly build the ISR and promote the connectivity of Eurasia. Iceland already signed an Arctic cooperation agreement with China many years ago. In 2018, China and Russia achieved important progress in their cooperation in the Arctic gas field, and many cooperation agreements were reached on the construction of Arctic waterway infrastructure. Against the backdrop of geopolitical conflicts in the Arctic and bottlenecks in regional governance and cooperation, the ISR and the cooperation of countries under this framework are the highlight of current Arctic cooperation and represent a new direction for future Arctic governance and cooperation.